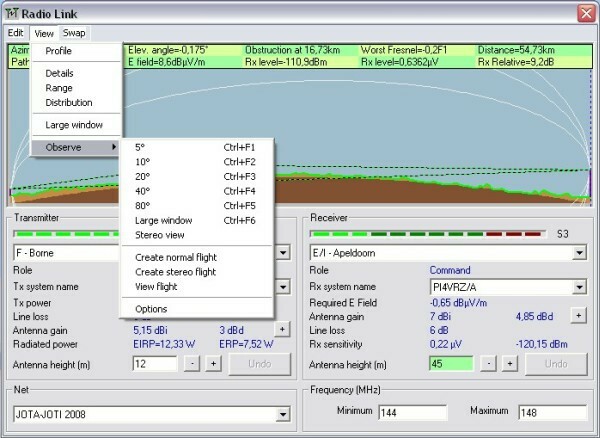 If 'View - Observe-20°' is opened in the radio link pane for th etransmitter to the receiver link, the link display is changed to a view of the receiving antenna from the transmit antenna - if visible the Rx antenna is shown by a circle. The view colors corresponding to the elevation data from the map window. 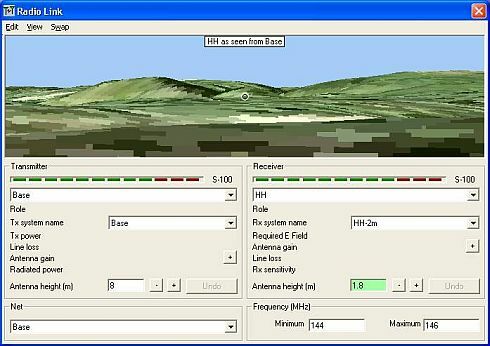 If an aerial photograph has been merged over a map and saved under its own name, (to reference it to the elevation matrix), and the photograph is the active map window, the 'View - Observe-20°' function in the radio link pane will produce a view of the photo image superimposed on the elevation matrix. 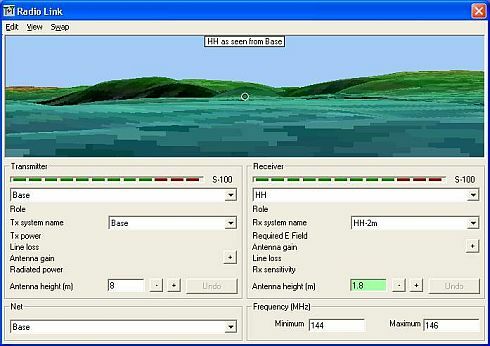 A large window will create a picture in Radio Mobile at the size of the map window and display the result. S Stereoscopic picture is obtained to give a 3D effect when viewed through Red/Blue glasses. Description of Flight is under construction. 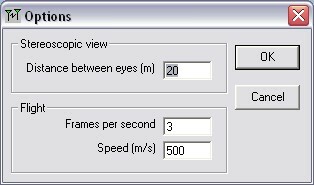 Configure the Frames per second and speed in meters per second for the flight animation.